Owning a horse is much more than just fuzzy muzzles and time in the saddle. 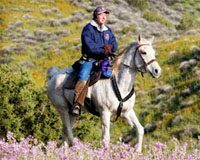 The realities of horse ownership sometimes come as a rude awakening to those who are unprepared for the venture. 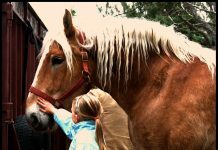 To help prepare first-time horse owners for all the responsibilities that await them, a DVD produced and offered by Purdue University Extension covers basic horse care, stabling facilities and equine anatomy. 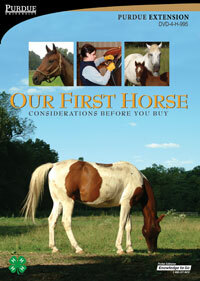 “Our First Horse: Considerations Before you Buy” educational DVD introduces issues such as horse terms, facilities and basic care. 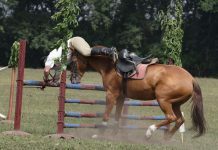 The DVD offers advice from Purdue Extension horse specialists that can help novice horse owners. Video clips from the DVD are available online at /redirect.php?location=http%3a%2f%2fwww.ourfirsthorse.info%2f. The DVD also can be ordered for $15 from the Purdue Extension Education Store online at /redirect.php?location=http%3a%2f%2fwww.ces.purdue.edu%2fnew%2f.